This week I'm starting a 30 day meal planning and prep experience/experiment. 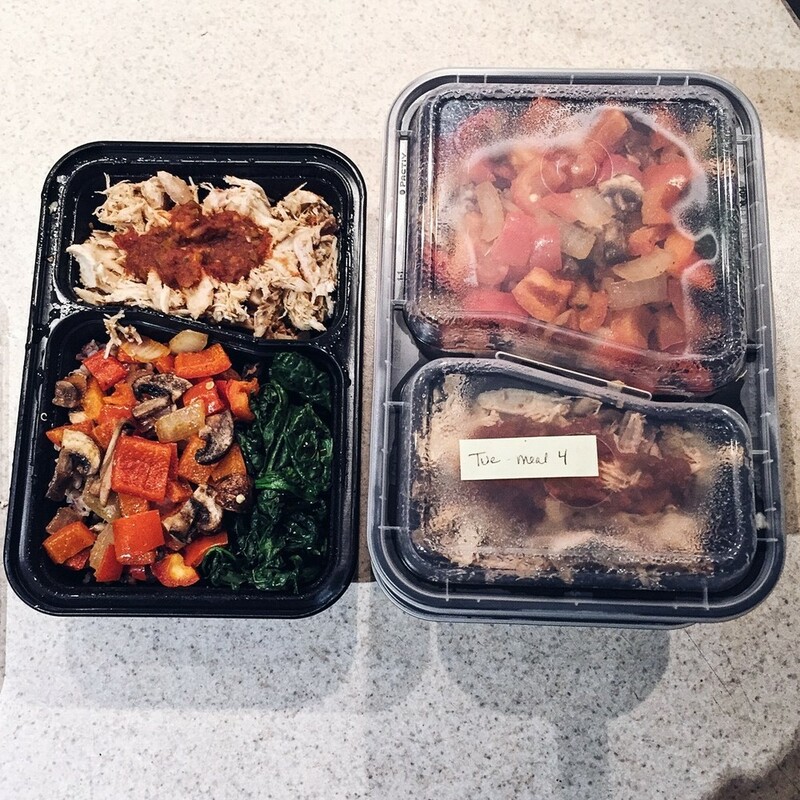 I'm following a customized meal plan by Christine at Gauge Girl Training. I opted for the 30 day plan (vs. the 12 week plan or a plan with coaching) because I'm afraid of commitment and I just wasn't sure how well this would work out for me. It sounds ridiculous but it's the #truth. If the next 30 days go well, I'll probably do another round with a training plan. I might even commit to 12 weeks...we'll see. My plan is based on my specific goals, preferences, my current situation, lifestyle, etc. So I'll be sharing my experience but I'm not going to share any specifics about the breakdown of what exactly I'm eating because it will be different for everyone. I don't want to mislead or cause harm to anyone by sharing that information and having people follow exactly what I'm doing because what is right for me right now might not be right for you! I'm starting out with this post so you can find out what I'm using (links below) for planning and prep for this week. If you have any questions for me you can leave a comment on this post, find me over on Instagram, Facebook, and hopefully Periscope (I'm going to try and do some video updates...no promises on frequency though). The containers I use come in single, two, or three compartments. I have the two compartment, but they are definitely not necessary. I usually try to avoid plastic, but when I'm stacking a bunch of things in the fridge the glass containers that I have don't work very well. They don't stack nicely and they are hard to rearrange if needed. I do have a few things stored in glass containers, but it is mostly the leftover food that is not portioned out (chicken, rice, etc. that is cooked but not in a specific container for a meal). The glass containers that I use are GlassLock, I have a variety of sizes. As I mentioned before I'm not using these for the purpose of meal prepping because they don't stack nicely in the fridge and I'm preparing about three days worth of food (5 meals each day) right now. The food scale I have is nothing special. It was one of the two cheapest options I could find at Target. My best advice is find one in your price range and read reviews, or ask your friends what they use. I wanted mine to be easy to wipe down and cheap. Bamboo Kitchen Scale - this is what I have. The reviews are terrible, but it works just fine for me. The protein powder that I'll be using after my workouts (not extra, included in my daily calories/macros) is the unflavored Sun Warrior - Warrior Blend Protein. My dad did a ton of research about protein powders a while back (there can be some pretty nasty stuff in them...like arsenic!) and this was one of the cleanest that he found. I don't always love the texture (it can be kind of gritty if you don't mix it well enough), but it doesn't taste weird or have any weird ingredients, which I like. It also comes in vanilla flavor, which I like better, but that was out of stock the last time I ordered some. Vital Proteins Collagen Peptides if you don't tolerate whey protein. UPDATE: The Vital Proteins Collagen Peptides are now my go-to protein. I also use their whey protein - sometimes I use 1 scoop of each. Yes, these products are a little on the expensive side, but I'm not using them everyday so they last a long time and the quality is 100% worth the price. Misto Spray Bottle - my plan requires me to reduce my fat intake from where it is currently, this is helpful for me when I'm cooking so I don't overdo it on the olive oil! If you're looking for a book that helps you understand how what you eat influences your health and your outsides, Practical Paleo is a great resource. It has tons of real food recipes and tons of meal plans to follow to get yourself closer to optimal health. Need some macro meal planning inspiration? 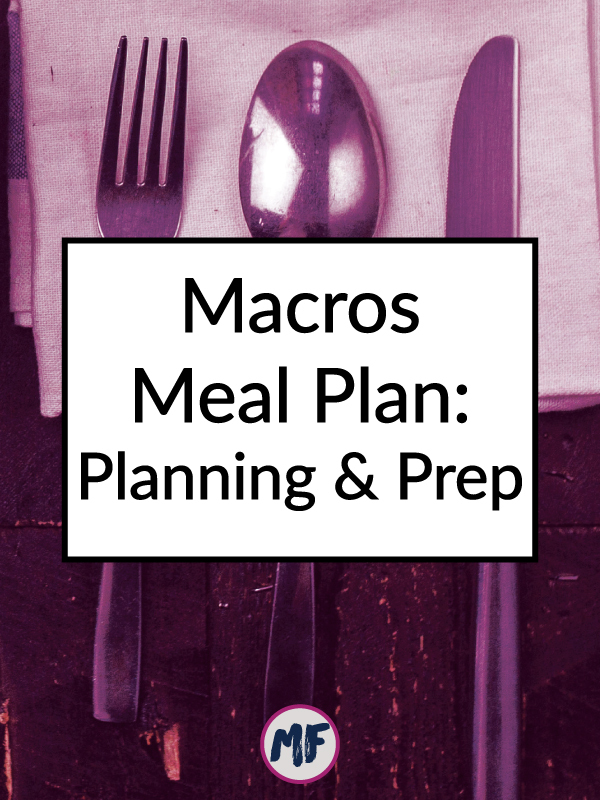 Here's an easy and macro-friendly meal plan with a free meal planning template so you can get starting making your own meal plan! The key to creating your own macro-friendly meal plan is simple recipes. You want the protein, carbs, and fat to be easy to measure so making simple meat preparations with sauce on the side is a good option, or mix and match meat and veggies plus a carb or two to mix it up! Are you ready to beat fatigue and end your exhaustion for good? Read my ebook The 30 Day Energy Reset. Get your copy here. MarthaFlorence.com is a participant in the Amazon Services LLC Associates Program, an affiliate advertising program designed to provide a means for sites to earn advertising fees by advertising and linking to amazon.com. Please note that purchasing through an affiliate link does not cost you anything extra but I earn a small comission.